Topseller: More than 175 000 m sold! 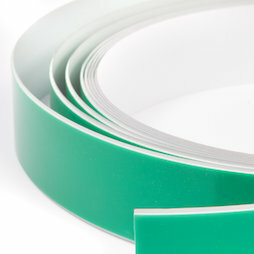 A flexible metal band / Ferroband by MAUL with self-adhesive foam on the back side. The band can be cut to the desired length with normal scissors since it is only 0,15 mm thick. It also sticks to textured walls and is easy to install around corners. This metal band is available in 1,5 and 25 m length. Please note that magnets are not included in the delivery.